Yellow stained walls line the hushed streets, paint flaking off just enough to be delightfully romantic. Strings of colorful lanterns dangle from branches, adorn storefronts, illuminate the banks of the Thu Bon River. Restaurants set up candlelit tables along the water, boasting western dishes and happy hours that stretch long past 60 minutes. Old women donning conical hats and baskets of fresh produce bump shoulders with tourists sporting their new custom-made threads. 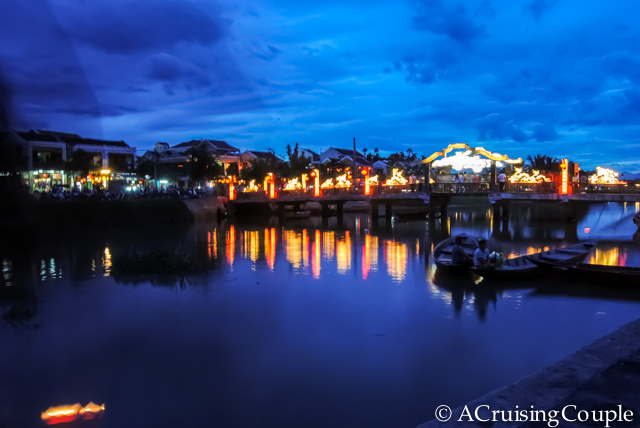 This is Hoi An, Vietnam. 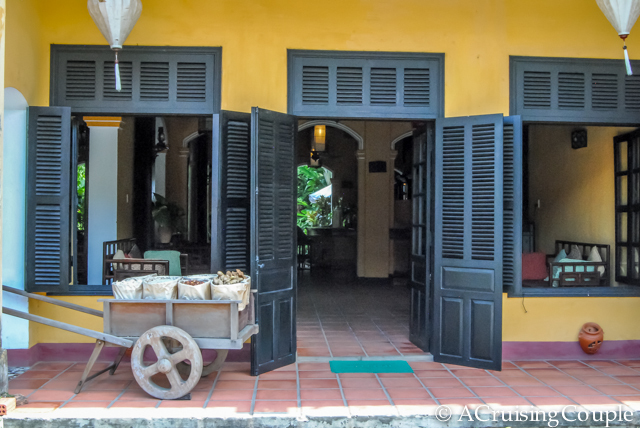 The charming UNESCO World Heritage Site is known for its tailor shops, where tourists can indulge themselves with the custom-made clothes of their dreams; however, there is much more to Hoi An than wardrobe shopping alone. 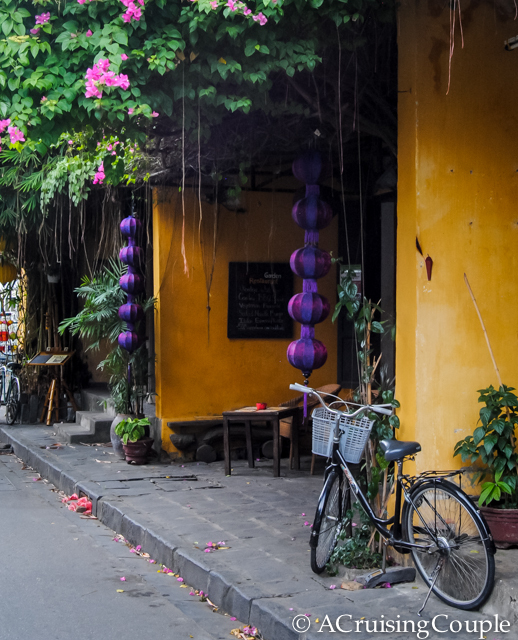 With quaint alleys to wander, local food to savor, and historic architecture to explore, Hoi An is the perfect place to watch time slip away. 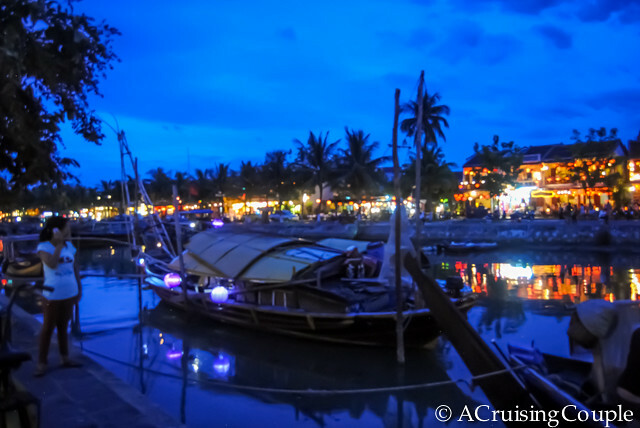 It’s no longer much of a secret, and hordes of local and foreign tourists have also decided to make Hoi An their destination of choice. Luckily the city still boasts an authenticity not available on all sightseer itineraries, and one slip down an alleyway or through the market will offer a glimpse of traditional Vietnamese living. 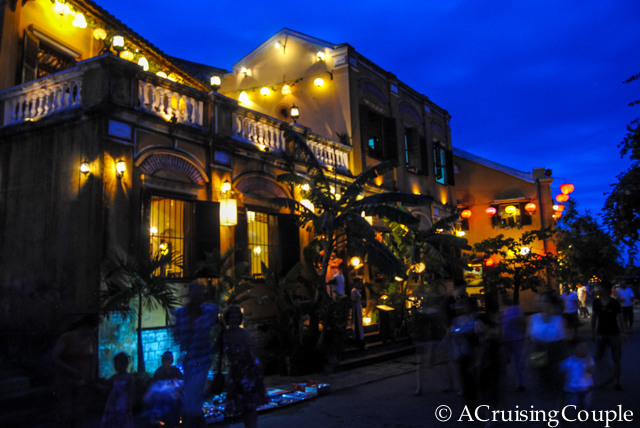 During the 17th century, Hoi An was a revered center of trade for Chinese, Japanese and European merchants. Today, their cultural influences are still evident in the archaic buildings that dot the Old Town. Buddhist temples and assembly halls prove vestiges of the Chinese expatriate community while distressed yellow walls and large, open balconies remind visitors of the city’s French influences. 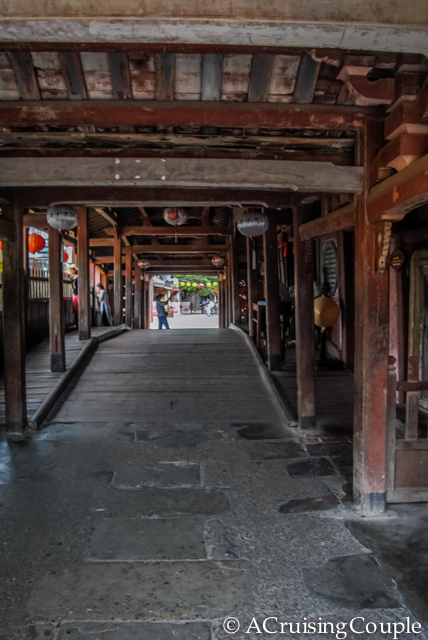 The Japanese Bridge, or Chua Cau, is at the historical center of the Old Town; its tiled roof and wood flooring provide a distinct contrast to the rest of the city’s eclectic buildings. The Thu Bon River comes alive at night when old women sit cross-legged on its banks, selling paper lanterns that will carry your wishes down the stream. 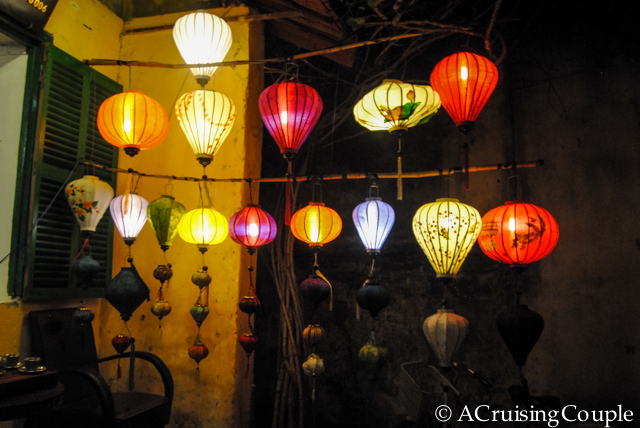 The colorful lanterns of Hoi An certainly leave an impression on visitors. You’ll find them hanging virtually everywhere—from shops, restaurants, posts and buildings, casting out their old world charm while illuminating the alleys below. To escape the foreigners and catch a glimpse of everyday Vietnamese life, head to the bustling Central Market. Here you’ll find fresh produce, baskets of fish still wriggling from the morning’s catch, and Vietnamese merchants yelling out to each other across the road. The Central Market is also one of the least expensive—and most delicious—places to grab a bite to eat. 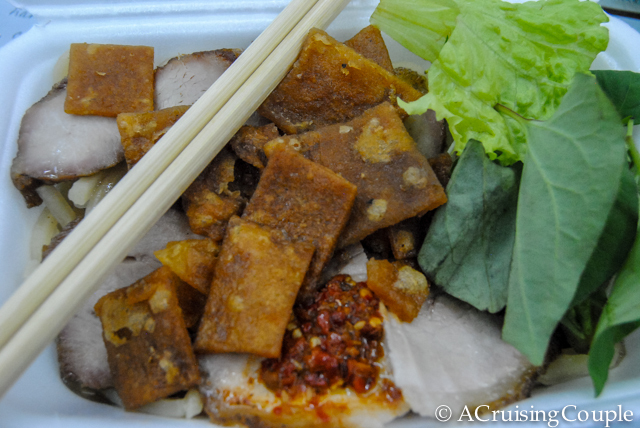 Head inside to one of the stalls and order a mixed fruit sinh to (smoothie) and steaming bowl of cao lau (noodles). 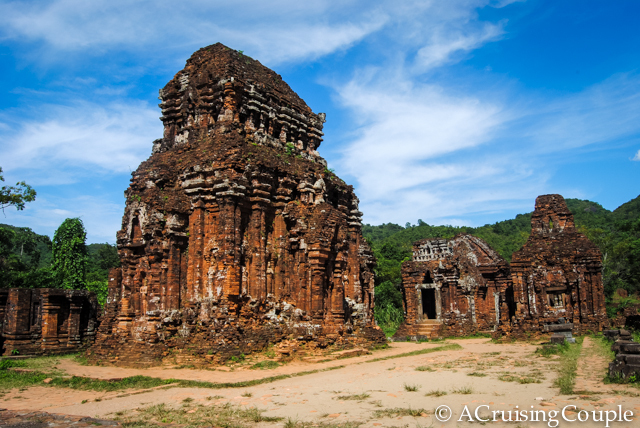 My Son Sanctuary is a tower complex located just 30km outside of Hoi An. 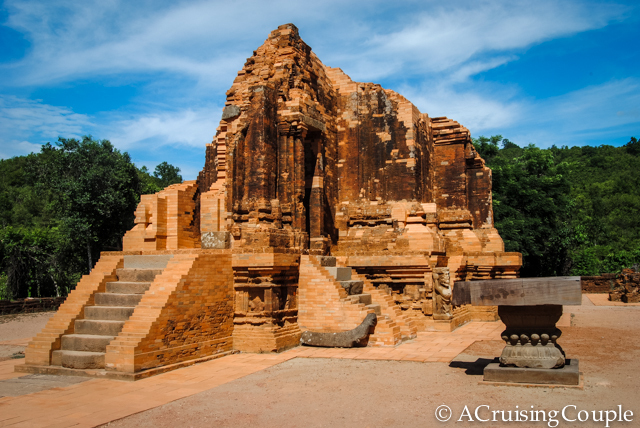 The religious and political capital of the Champa Kingdom, it was constructed between the 4th and 13th century. 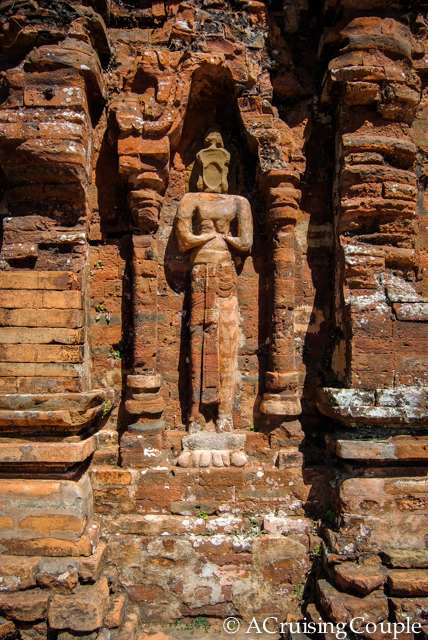 Influenced by Hinduism, the towers display sculptures of gods, priests, animals, and scenes of mythical battles. Like much of Vietnam’s places of historic interest, large portions of My Son were destroyed under US carpet-bombing during the Vietnam War. While not as grand as Indonesia’s Borobodur or Cambodia’s Angkor Wat (so we’ve heard), the towers still make an interesting day trip. There’s also a lovely white sand beach just a short bike ride outside of Hoi An. Unfortunately our days in the historic city were endowed with afternoon rain showers, making a day at a coffee shop a bit more preferable than one with soggy sand. However, should you prefer to do a bit of sunbathing and ocean gazing, Travelbag offers rejuvenating beach holidays throughout all of Vietnam. 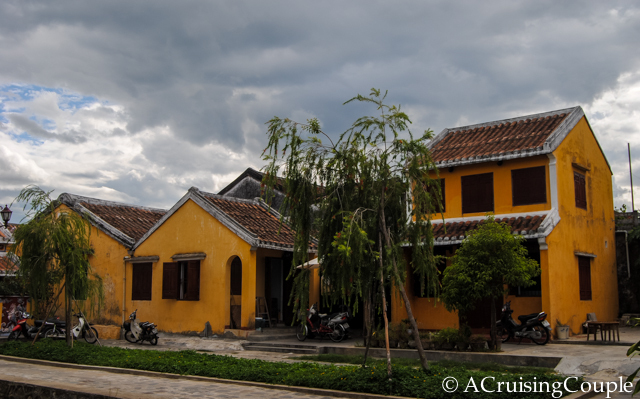 Hoi An was a welcome change from our long days of cycling through primarily rural areas. Its quiet beauty and old world charm swept us away, and we would have happily spent more time photographing its enchanting streets. 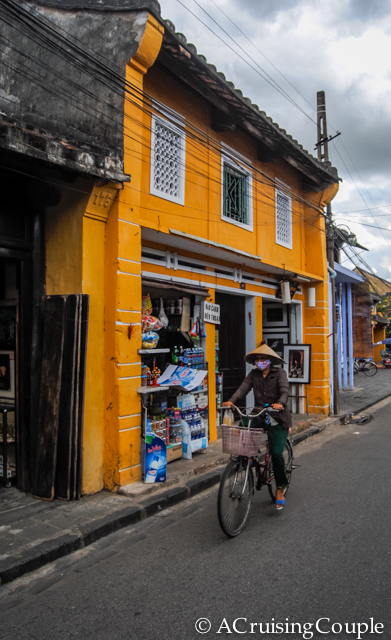 While often we prefer unexpectedly wonderful, unknown towns, Hoi An managed to leave its own lasting impact, fellow tourists and all. 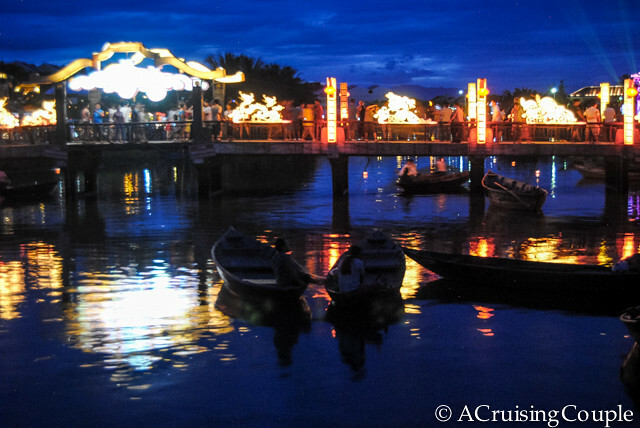 Have you visited Hoi An? What tourist destinations have you visited that proved rewarding and memorable? Disclosure: This post has been sponsored by Travelbag, however, we would never recommend a service we down’t believe to offer value to our readers. As always thoughts and opinions are our own. I have to add this to my list. I’m planning on a month each in Hanoi and Ho Chi Minh City, but I’m getting a 3-month visa, so I should have enough time to explore other parts. 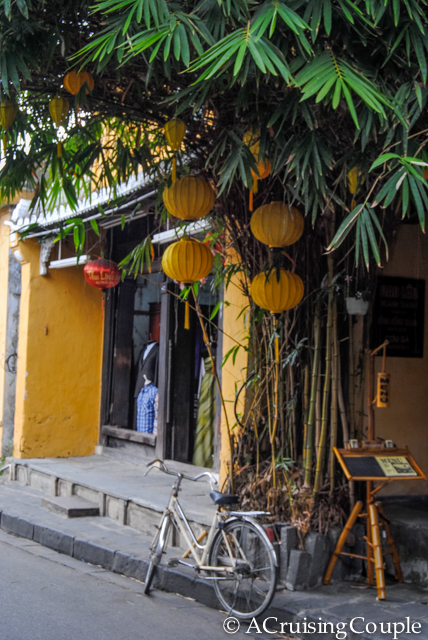 Hoi An is well known for it’s tailor shops but there is so much more to the town than just shopping. I can’t wait to hear about your trip! :-) You’ll get to see a lot in 3 months. Hanoi took our breath away when we visited it last year. We were planning to stay there 2-3 days and we ended up living there like locals for 2 or 3 weeks :). The city looks amazing at night, so charming with all of these lanterns hanging on the trees :). Lovely pictures guys! Those photos of the river are just gorgeous! I can see why you’d stay a few extra days to relax there. 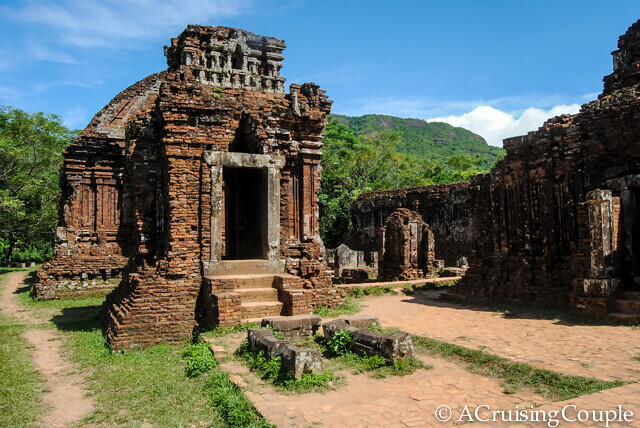 Looks like such a lovely place – we are headed to Vietnam in January and will make it a point to visit Hoi An. Would love to photograph the river with all those lanterns. 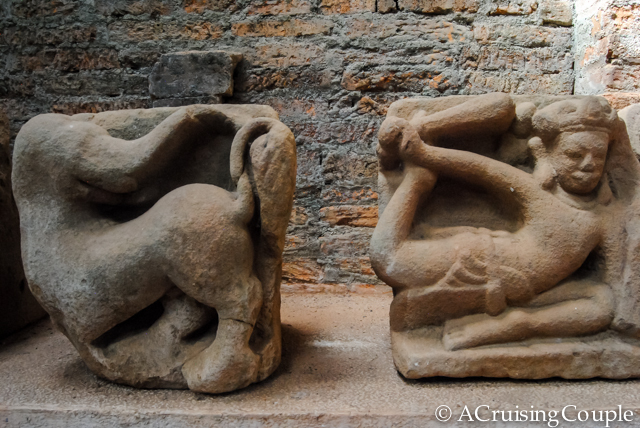 Vid recently posted…Causeway Coastal Route: The World’s Prettiest Drive? The atmosphere there was so relaxing. We could have spent a lot more time wandering the streets and exploring. 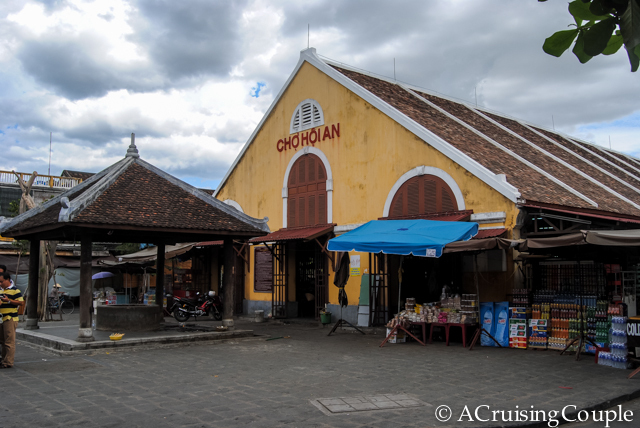 I’m not much of a shopper… but really enjoyed Hoi An. City is beautiful and very relaxed. I did a cooking workshop for 1 day, also a good way to spend a day. We wanted to do a cooking class but never found the time. What did you make? We made some fresh spring rolls, a sizzling hot pot and a spicy noodle soup. 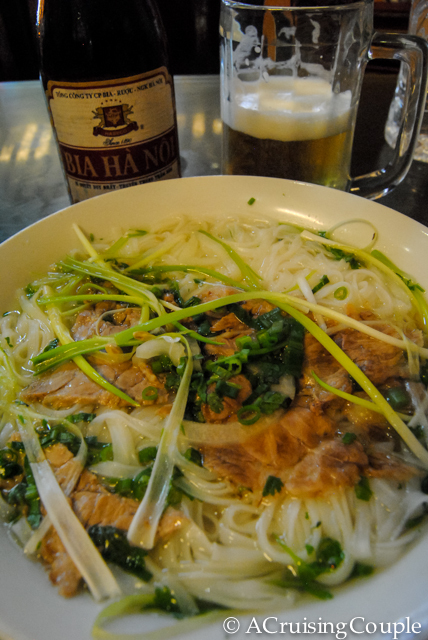 Along the way you get to know a lot about the vietnamese cuisine. By the way, I really enjoy your blog and writing style. 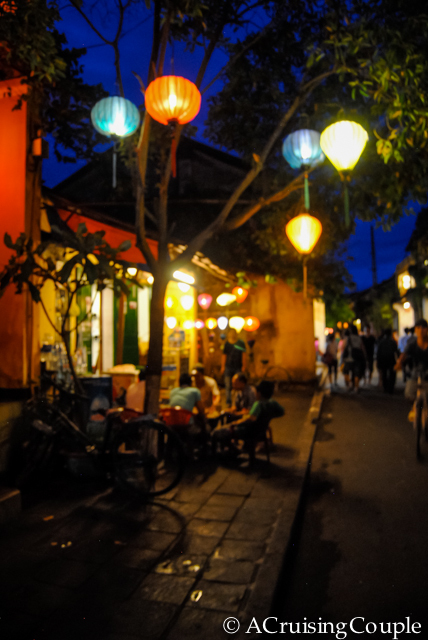 We had a lot of fun exploring Hoi An, in our spare time from making clothes. Would for sure head back if (or I should rather say when) we are in Vietnam again.